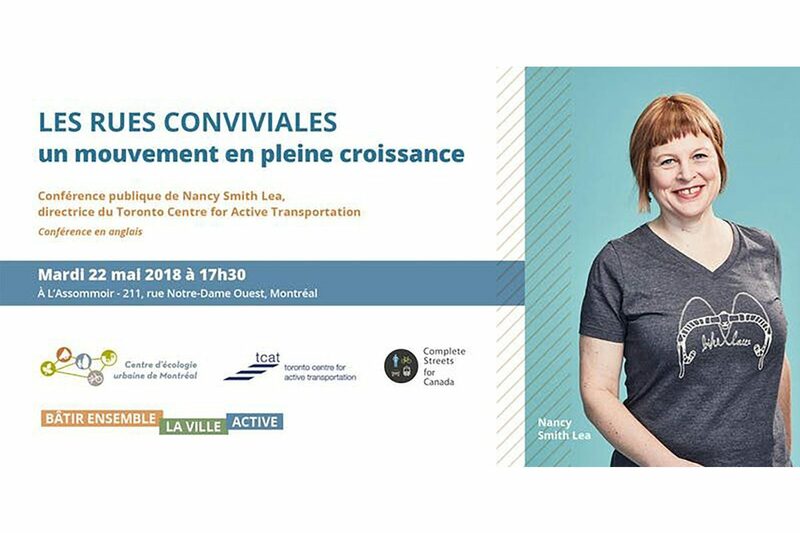 Join the Director of the Toronto Centre for Active Transportation, Nancy Smith Lea, in Montreal on May 22nd. Her talk (in English) will provide an overview of the Complete Streets movement in Canada and describe how policy and practice are changing across the country resulting in safe and inclusive streets for walking and cycling. Nancy will share Complete Street examples and case studies of policies and street transformations in different urban and suburban contexts in the Toronto region and beyond. After the presentation, audience members are encouraged to try out TCAT’s newly launched Complete Streets Game and redesign their own street. What trade-offs will you make? Seats are limited! Reserve yours today on Eventbrite.